The answer is simple and cost-effective – by adding QR Codes in newspaper and magazine advertisements. A QR Code is a square-shaped barcode that connects smartphone users to online content such as websites, videos, photo galleries, and just about anything else on the web. The QR Code, placed on the newspaper ad, can be read by a QR Code scanning application on the smartphone of your target audience member. What should I do to increase my online traffic? The action by the user can mean anything for your business – see a website, see product specifications, watch a video, read reviews about products, register for an event, or even make a purchase. The consumer should always have an incentive to take the action – a good deal, discount, need for information, or entertainment. Once the reader is curious about your product, service or company, and ready to take the valuable action, give them the option of scanning a QR Code. The QR Code will lead them directly to the desired content, helping you drive traffic. The Black-and-white barcode and QR codes are ugly and often mistaken for inventory management codes. 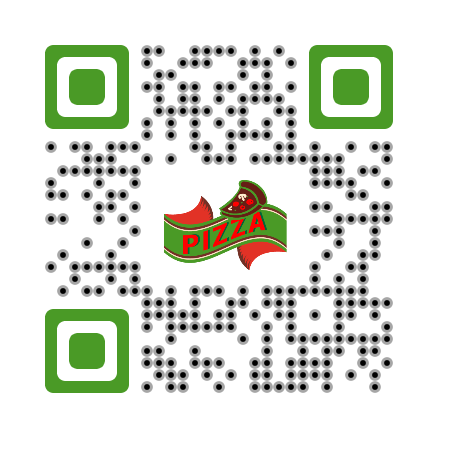 Use a personalized QR Code with your brand colors and logo to attract more scans from your audience. Add a little call-to-action instruction to let the readers know exactly what to do. Ensure that your audience has a good experience browsing on their smartphones by making your web page optimized for mobile viewing. You probably don’t want a high bounce rate at this stage. Using an advanced QR Code Management tool, you can track scanning activity of your QR Codes. You can track scans by date, city, and device. This analytics will help you assess the impact of your newspaper ad campaigns. Which brands in India are using this marketing tactic? While QR Codes are widely popular in the West, many brands in India have joined the bandwagon. 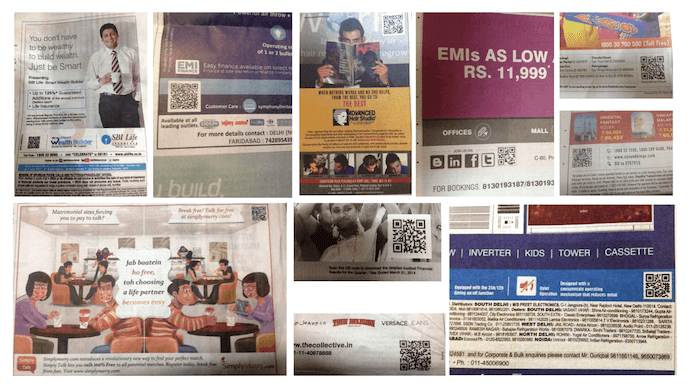 Brands such as State Bank of India, LG, Spykar, KAFF, Lavasa, Cox & Kings, Symphony, Shoppers Stop, The Collective, DHFL, SimplyMarry, Advanced Hair Studio, Intec, Sikka Group, and Manyavar have all used QR Codes in their newspaper advertisements to engage their readers with their online content. 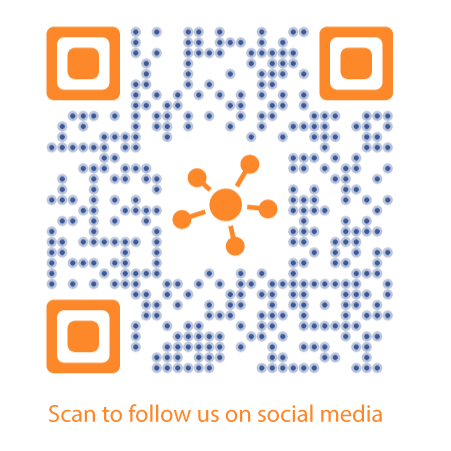 QR Codes will you bridge the gap between static traditional media and dynamic online content. Get started today.